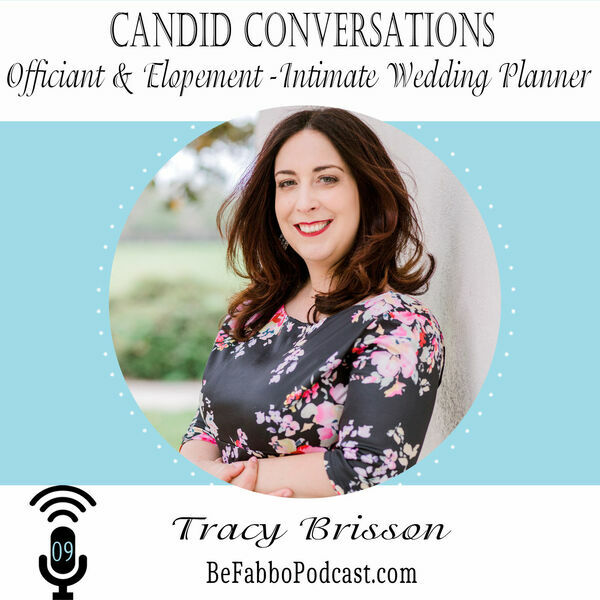 Tracy Brisson is the owner of Savannah Custom Weddings & Elopements where she creates elopement and intimate ceremony-focused experiences as a professional wedding officiant. She believes wedding ceremonies should be authentic and make you feel joyful AND empowered, and that every wedding celebration, whether small and intimate, or grand and bold, deserves the same level of attention and love from their vendors. Like many entrepreneurs who launch businesses to solve problems they faced, Tracy decided to become a wedding officiant when she could not find the perfect officiant for her own 2014 Savannah wedding. She now manages a team of officiants and together, they have married over 1300 couples over the last five years. One of the best parts of her job is showing all types of love, and the beauty of Savannah, to the world via social media. Prior to becoming a wedding officiant, Tracy worked in the career and recruitment space as an independent consultant and writer and before that, was the Director of Teacher Recruitment for NYC Public Schools. She lived in NYC her entire adult life until she moved to Savannah for a change of pace where she quickly fell in love with the city, and the man who would become her husband a few years later. As the mom to a toddler, she doesn’t have much time for hobbies these days, but loves old school Marvel comics, a good bourbon on the rocks, and the Atlantic Ocean. Download Tracy's free vow writing guide!